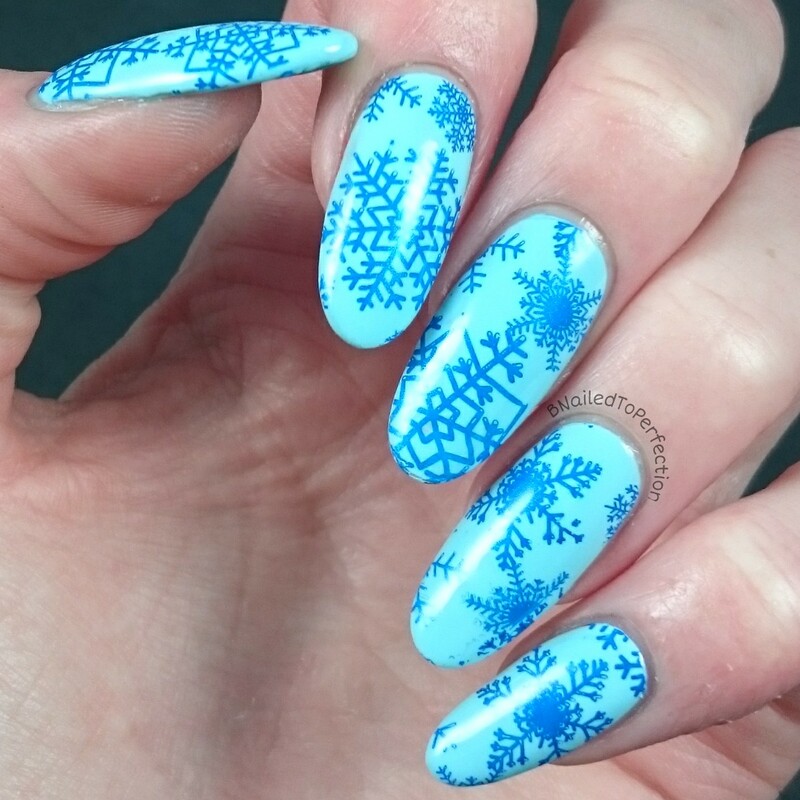 My first Christmas mani of 2015! I love Christmas and especially snowflakes. Born Pretty Store recently sent me some lovely items for review which included a Christmas theme stamping plate and a gorgeous blue metallic stamping polish. So I teamed them together for this Christmas mani. The base colour is 3 coats of Sky Blue by Barry M. I used plate BPL-032, Xmas Snowflake Nail Art Stamp Template Christmas Image Plate BORN PRETTY BP-L032 12.5 x 6.5cm, for the snowflakes. This plate has lots of beautiful Christmas images and will definitely being used again! It is currently out of stock and I can see why. 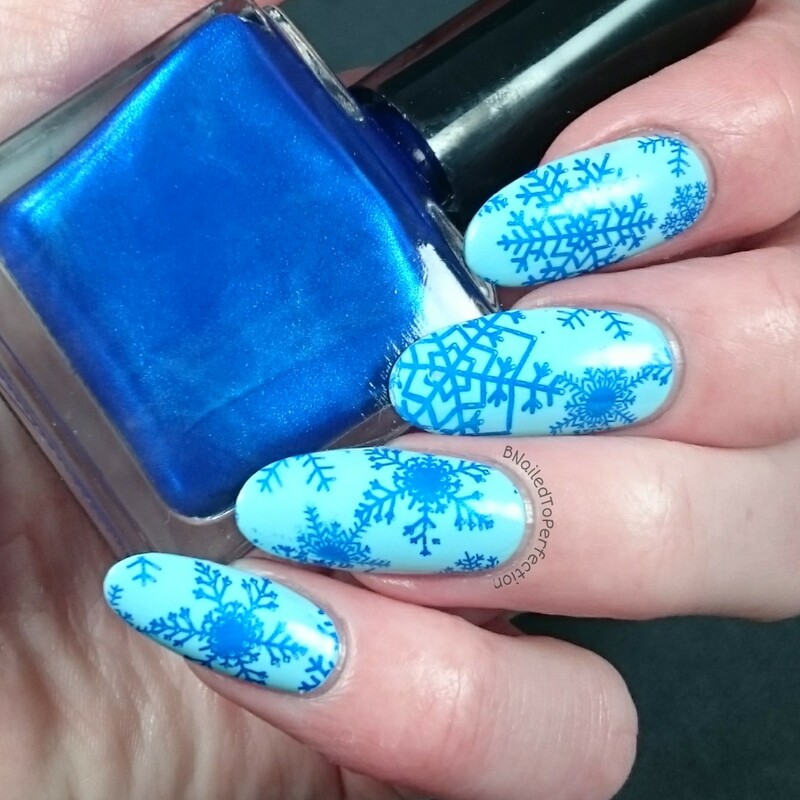 I also used this gorgeous Metallic blue stamping polish, 15ml Shimmer Blue Born Pretty Nail Art Stamping Polish Nail Polish 35# to stamp the snowflakes. It's a lovely polish that picks up beautifully and would stamp really well over black and white. The smell is a bit strong but it doesn't bother me. I love these metallic snowflakes so much!! What do you think? 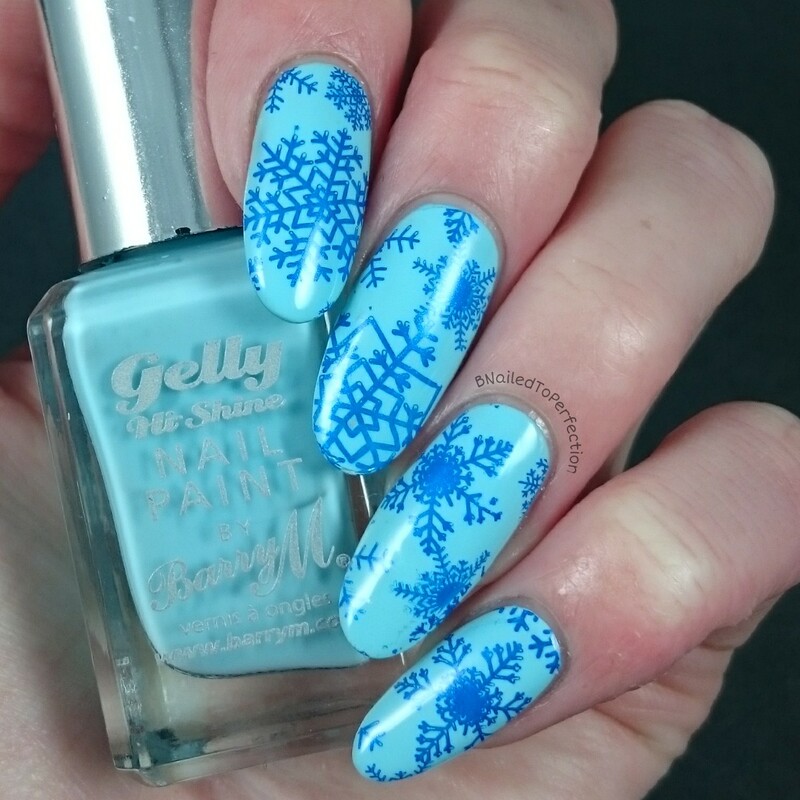 Don't forget to check out all the other lovely nail art items at Born Pretty Store and use my code BNG10 for 10% off at the checkout.